During the Middle ages in Europe, stained glass became prevalent in the windows of the newly built churches. The designs of the windows encompassed images of religious scenes in a colorful ornate form. 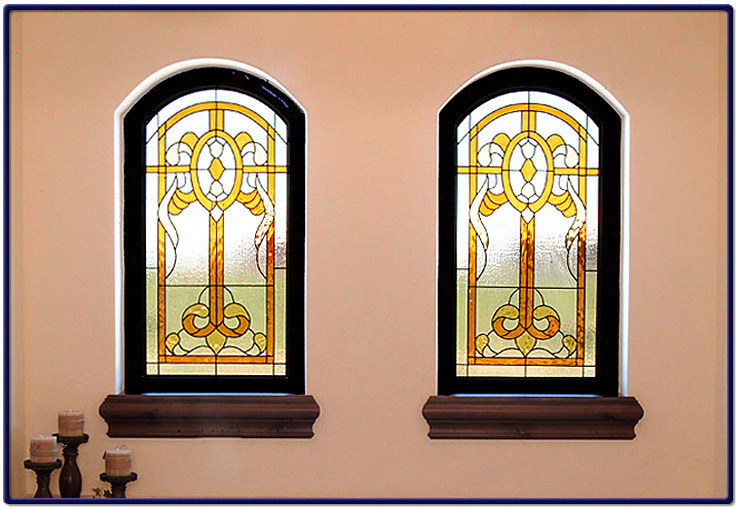 Today, stained glass windows can be customized for your living room, dining room or large master bathroom. The stained glass pictured below, is located in a master bathroom, and can be used to enhance the look and feel of the room.